In a press release from the Public Service Commission issued April 9, all residential and business customers throughout Alabama area code 205 will need to make changes in their telephone dialing patterns. Beginning Oct. 12, all local calls made within the Alabama 205 area code will have to be placed using the 10-digit telephone number (area code + the seven-digit telephone number). Calls that are currently local will continue to be local, even though 10-digit dialing will be required. To give customers adequate time to adjust to the changes, a six-month grace period will begin on April 13. During the grace period, local calls can be made with either seven or 10 digits. 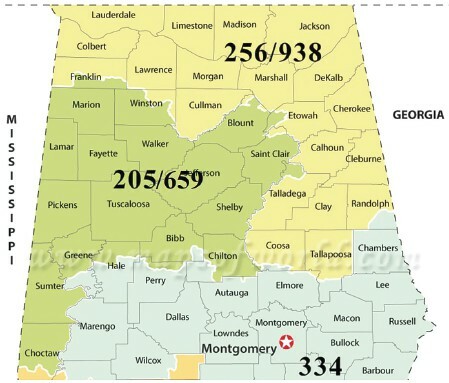 To ensure a continuing supply of telephone numbers, a new 659 area code, known as an area code overlay, will be added. An overlay does not require customers to change their existing area code. Beginning Nov. 12, new telephone lines or services may be assigned using the new area code. • Your current telephone number, including current area code, WILL NOT change. • If you seek new phone service after Nov. 12, you may be assigned a phone number with the 659 area code. • You will need to dial area code + telephone number for all local calls. • You will continue to dial 1 + area code + telephone number for all long distance calls. • What is a local call now will remain a local call. • You can still dial just three digits to reach 911. You can also dial three digits to reach 211 and 811, as well as 311 and 511, where available. Please remember to identify your telephone number as a 10-digit number (area code + seven-digit telephone number), and include the area code when giving the number to friends, family, business associates, and customers, etc. Customers should ensure all services, automatic dialing equipment, applications, software, or other types of equipment recognize the new 659 area code as a valid area code: life-security systems, fax machines, internet dial-up numbers, alarm and security systems, gates, ankle monitors, speed dialers, mobile contact lists, call forwarding settings, voicemail services, and similar functions. Customers should also check business stationery, advertising materials, personal checks, and your personal or pet ID tags to ensure the area code is included in your telephone number. Important safety and security equipment, such as medical alert devices and alarms and security systems, must be programmed to use 10-digit dialing. Many systems operate on 10-digit dialing by default, but some older equipment may still use seven digits. Please contact your medical alert or security provider if you are not sure whether your equipment needs to be reprogrammed to accommodate the upcoming change to the 10-digit local dialing. Any needed reprogramming of alarm and home security equipment should be done between April 13 and Oct. 12. Remember that all local calls must be programmed using 10-digits and you need to add ‘1’ for all long distance calls. For more information, please visit the PSC website at www.psc.state.al.us/Telecom/Areacode205overlay.pdf or contact your local telephone service provider.